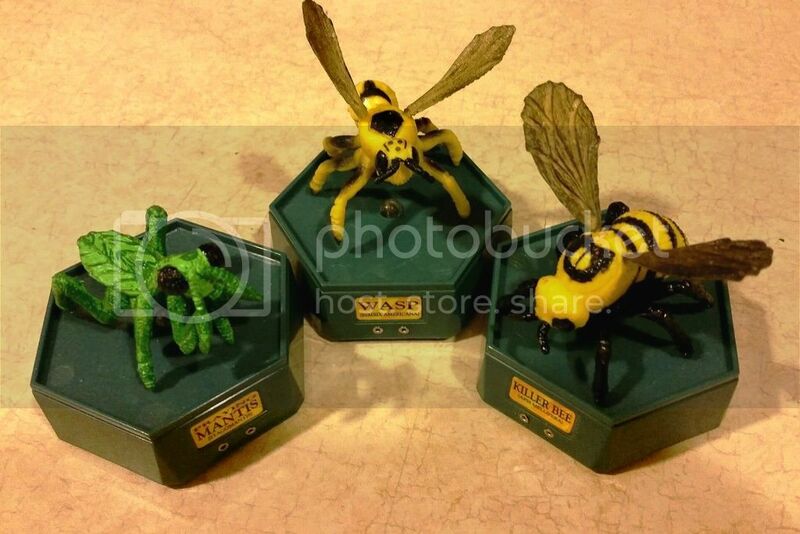 I was going through some older, misc figures I had stashed away and I came across these three insects from Trendmasters Inc. as part of their Insect Predators line. Does anyone have any other figures from this company/series? I am pretty sure there was also a mosquito, scorpion, and stag beetle among the insects. 1) 'praying' mantis (Stagmomantis). It is identified as both Stagmomantis and praying mantis, although the 'true' praying mantis is in the genus, Mantis. I am going with the scientific name supplied. Post other Trendmasters figures on this new thread! So there are other animals as well. I like the design, but the lot is more than I'd pay. It's neat the way they are set up as 4 packs that form a picture. Couldn't make out the stingray species though. is Trendmasters the same brand that made those godzilla/kaiju figures?